It's been an exciting week as cameras get ready to roll on the last two installments of the Twilight series. With filming set to begin in Louisiana in a few weeks, today Summit confirmed who has been cast as the Denali Coven in Breaking Dawn. The Hollywood Reporter has a bit more. The official word comes after Entertainment Weekly broke the news on who will be playing Edward and Bella's child in the movie. All we care about is that this is the vamp who has the hots for Edward.. meet Tanya. On the Bel Ami front, one of the movie's fan blogs got Protagonist Pictures to admit that they still don't have a distribution deal for the U.S. plus a few other facts. Check their post for the rest of the scoop. We'll stay on top of Rob's projects for you! Lizzy Pattinson performed in London tonight and while introducing a song she co-wrote with Rob, she also mentioned Nikki Reed. The song with some beautiful lyrics is called 'Hands.' It comes on at about 39:45, but catch her entire performance starting at 23:00. Watch Out Rob, She's No Vegetarian! DVD With 'The Summer House' Coming To The U.S.
U.S. fans here's your chance to own the DVD that contains a series of short stories including The Summer House. Love & Distrust will be released November 2nd, but you can pre-order it now. Check out the rest of the pics at Pop Sugar UK. Author Sara Gruen made a stop in Seattle Monday as part of the promo tour for her latest novel Ape House. It was a packed auditorium at Seattle's Central Library, where Sara gave some feedback on her research and read a passage from her new book before taking questions from the audience. As Twilight Lexicon predicted, the first question was about Water for Elephants. But to be honest Sara didn't seem to mind chatting about her "other" novel, in fact she kinda seemed to enjoy talking about it and its film adaptation. 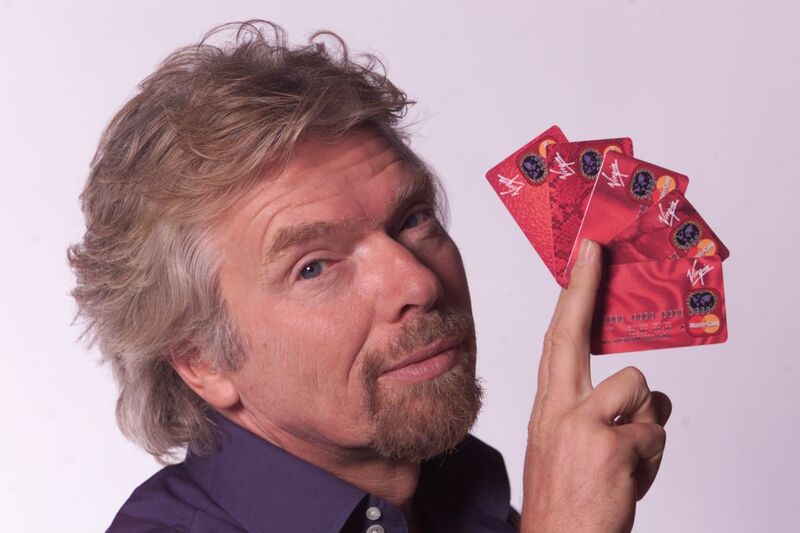 Check out our exclusive coverage! This is when I *attempted* to ask a question and shoot video at the same time. Sara was talking about the real bonobos she based her characters on in Ape House, so I asked about the not so real Rosie, and how she created her into such a lovable character straight out of her imagination. Or at least that's what I was trying to ask..
Is she happy with the film adaptation of Water for Elephants? What was her inspiration to write Water for Elephants? After the Q&A ended I got a chance to chat with Sara, and asked her to describe in one word her experience of working with Rob and the cast of Water for Elephants. Her answer: "The whole experience was surreal.. surreal." You can catch author Sara Gruen on tour right now. Water for Elephants is set to hit U.S. theaters April 15, 2011. 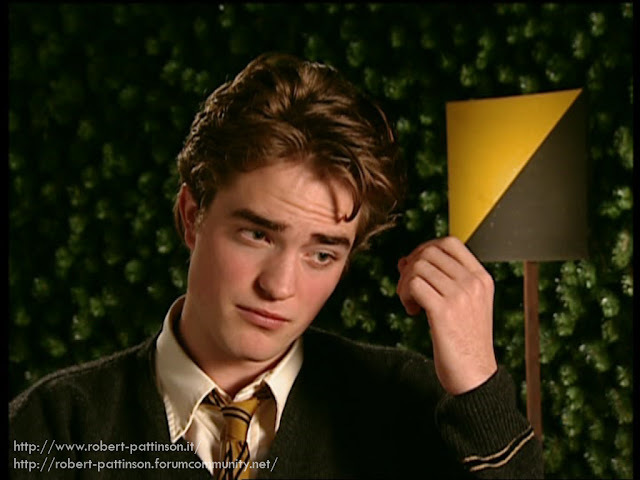 Pixie Lott: "I Really Like Robert Pattinson"
"I really like Zac Efron. But I'd prefer it if he messed up his hair a bit, he's a bit too perfect. I really like Robert Pattinson. "I can't wait for the new Twilight film to come out." Read the rest at Digital Spy. She does an amazing job with this cover btw.. Such a nice guy.. yeah don't ask us how the confusion happens. Gruen is in Seattle today promoting her latest novel Ape House (we'll be there to bring you a full report). Check out the rest of her schedule in the U.S. - @BellasGuardian also let us know Gruen will be in London, Ontario Oct 26th at the South London Chapters on Wellington. Don't miss her, this is your chance to meet the author that brought Rosie and Jacob to life! 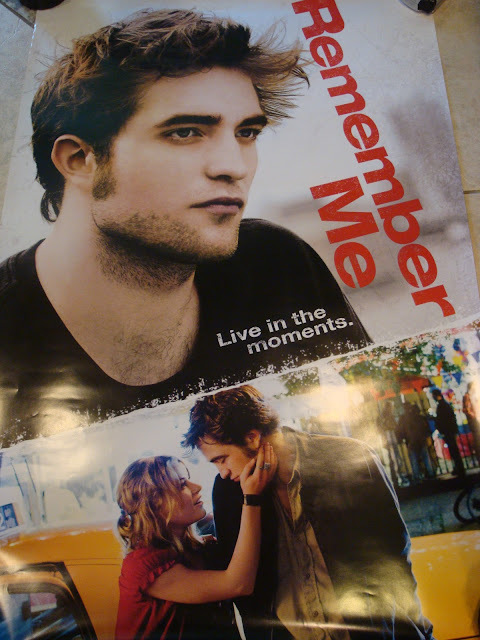 The Remember Me DVD free poster promotion is wrapping up this week. Your last day to submit your proof of purchase is October 1st (form must be postmarked by then). Read the rules and print out your form here. Will The Mystery Of The Missing Hair Be Revealed Tonight? Stay Tuned! UPDATE: Looks like Rob will not be in tonight's episode via EW. Boo. We'll keep you posted. At least they got Rob's name right.. kinda.. Check out our coverage from that lucky night for fans! Did EW Question Reveal Scoop On Water For Elephants? We’ve heard that there are some pretty major plot changes in the Water for Elephants movie. Did Ms. Gruen have any say in them? two hours and still remain true to the story. My hat’s off to him. I imagine the "pretty major plot change" is condensing the characters uncle Al and August into just Uncle August. The pattern of events or main story in a narrative or drama. So EW asked about "pretty major changes" to the pattern of events or main story in a narrative or drama, and Gruen did not say that wasn't the case. Guess we'll just have to wait and see on April 15th.. While we're looking ahead to the December release of the Eclipse DVD, fans in Japan are getting ready to see the movie premiere in theaters November 13th. We're told this video is part of the promotion, given to people who buy their tickets through Amazon Japan. Good stuff! Hollywood has been overtaken by men with hot British accents and Ed Westwick doesn't seem to mind that both him and Rob are in the mix. Another day, another tall, dark, handsome Brit in Hollywood? 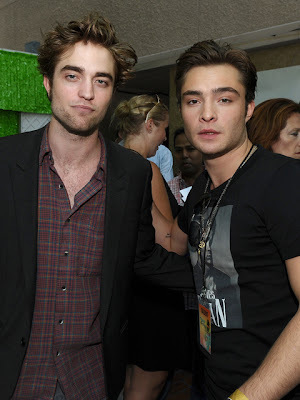 Westwick nods at the reference to English actor Robert Pattinson, who plays dashing vampire Edward Cullen in the Twilight films. Both are narrow-eyed, deep-voiced, chisel-jawed and beguilingly pouty – not that we’ve thought about it much. ‘Yup, there seems to be something going on right now,’ he laughs. ‘I can’t figure it out but we’re definitely representing'. Check out the rest of Westwick's interview. 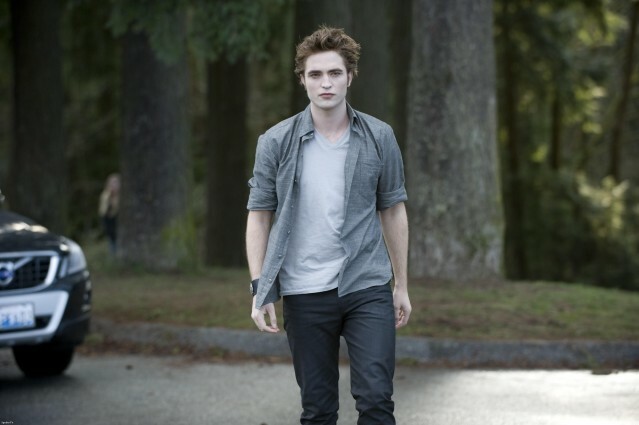 Edward Cullen & That Profitable Look Of His.. 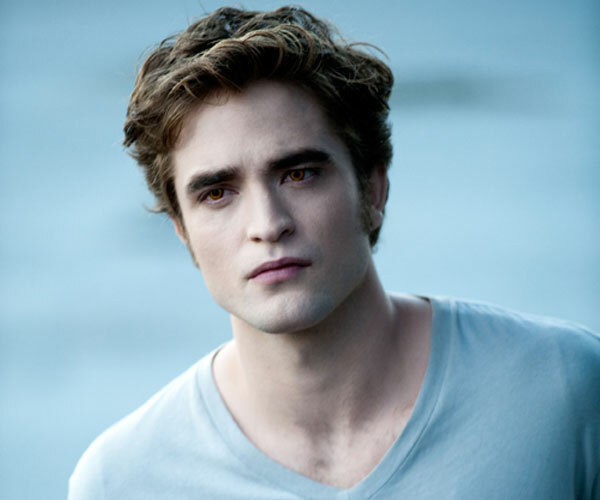 Some 32% of the licensing professionals felt that Twilight vampire Edward Cullen, played by British actor Robert Pattinson, was the most profitable film character of 2010. Read the rest of the results at Digital Spy. 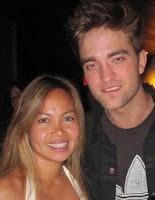 @AwesomeArianna shared with us a great quick clip of Rob at the Eclipse premiere in LA last June. 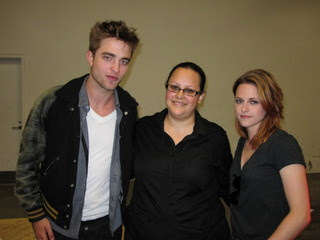 She also told us about her "Twilight Guardian Angel," and how that person made a difference that night. Read her story below. Thanks Arianna! 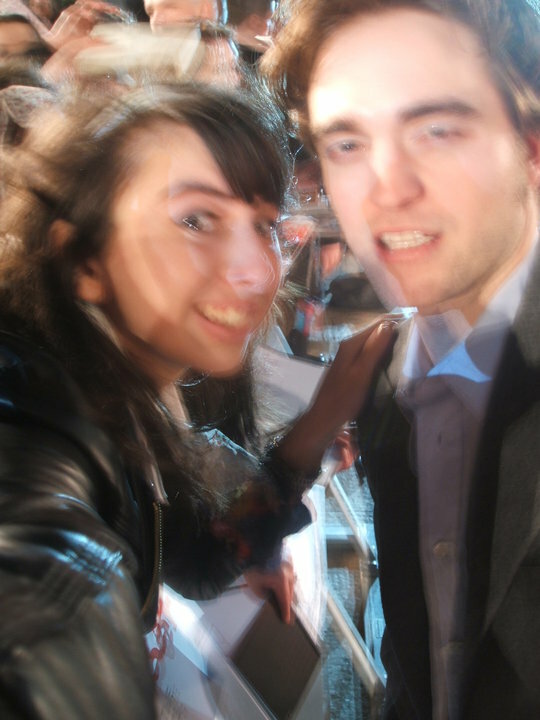 I just discovered a video I got of Rob during the Eclipse Premiere when he came to the bleachers side of the Premiere area. It was complete insanity over there. I was standing behind the front row and when Rob, Kristen, and Taylor pulled up people when crazy. A mother standing right near me literally shoved everyone out of the way to push her daughter to the front. While that happened I ended up getting shoved back even further so I gave up and stood on the bleachers. A very kind young girl reach back and grabbed my magazine I wanted signed and said she would get it signed for me. She ended up getting both Rob and Taylor's autograph for me! She disappeared right after so I never got to properly thank you, but she was my Twilight guardian angel for the night. There is some amazing Twilight fans out there, and this fan is example of one of them. At the end of the video you can hear me say "Omg, thank you so much" That's when I discovered my video was running instead of me actually taking pictures. Given the success of individual comics about Rob, Kristen and Taylor.. we're not surprised Blue Water Productions is now coming out with a Twilight Edition. Word is it will be released December 7th, just around the time the Eclipse DVD comes out. 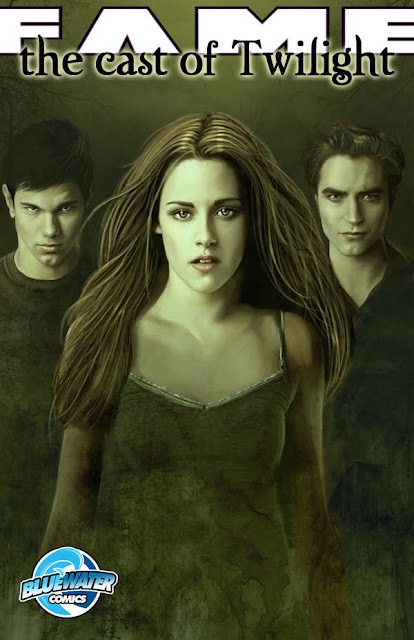 You can pre-order the Twilight comic book now. We don't know if the two covers will carry the same content or it will vary, but we're sure we'll get more details as the release date get closer. Mark Your Calendar: 'New Moon' Is Coming To Cable! New Moon is headed to cable TV and now we know when. According to HitFix New Moon will premiere on Showtime January 8th, 2011. That's just about a month after the release of Eclipse on DVD. We can't wait! belamifilm.com has confirmed with Protagonist Pictures that the movie that's now in post-production will be screening at film festivals, but the company did not give any more specifics. News on Bel Ami has been hard to come by, but Protagonist did share some information with the site. Read the rest. EW Outtakes 2010: Hotness Times Three! You can check out the UHQ, uber, mega, gigantor size versions over at RPLife. And thanks to Pattinsonlife for sharing. The official word from Summit via Gossip Cop is that Breaking Dawn will not be shot in 3D. But before you start thinking you're not seeing Bella's mind power projected on the big screen, let's look closely at what's really being said. 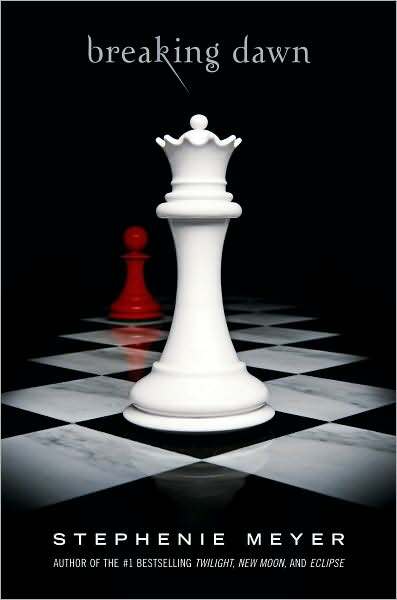 And a source informs Gossip Cop that while 3D effects can be added during post-production (as they have with some recent releases), right now it is too premature to say whether either part of Breaking Dawn will be converted. "We have considered it, and everything's being discussed, but I know that part of a way to differentiate the two movies would be to have one be in 2D, and when she becomes a vampire we move into 3D," says Godfrey. "But we haven't really gotten far enough to decide what we're going to do. I'm of two minds of it, frankly, and I think everyone is; I don't want to chase the format if it's not organic and appropriate. If we think it is, we will." In any of these roundtables conversations, [Summit CEO] Rob Friedman has always been concerned about the 'Twilight' patron," Fay added. "His concern is always the people that come in to see this movie. He doesn't want to turn them off or offend. That's why it's a creative decision. A big factor is the perception of our audience. What are their feelings going to be? If it lends itself to being a better movie because of 3-D, then that's the technology we'll use." So as Screen Rant puts it.. "we wouldn't rule it out just quite yet." Check out their excellent breakdown on the subject. Our biggest worry is that now that Summit ruled out shooting in 3D which would have meant the ultimate quality in that format, what we're left with is this "conversion" talk and fears of how that went for Clash of the Titans. Stay tuned..
Fall is Almost Here & You Know What That Means: 'Team Edward' Maze! And yes.. that's Jacob next to him. But really, where would you rather get lost in? 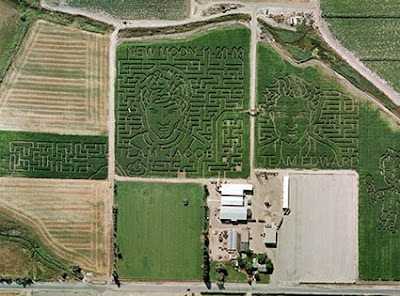 This year’s maze features the likeness of Taylor Lautner, Robert Pattinson and Kristen Stewart of the “Twilight” movie series. Those attempting to find the one exit from the more than five miles of twists, turns and dead ends likely will spend more than an hour to make their way out. Anyone smart or lucky enough to make the correct decisions may be able to complete the task in 15 to 30 minutes. The Eclipse maze opens Friday. Heads up Philadelphia! Sara Gruen is in your city tonight promoting her new novel Ape House. The local FOX affiliate talked to her and mentioned Rob and the film. 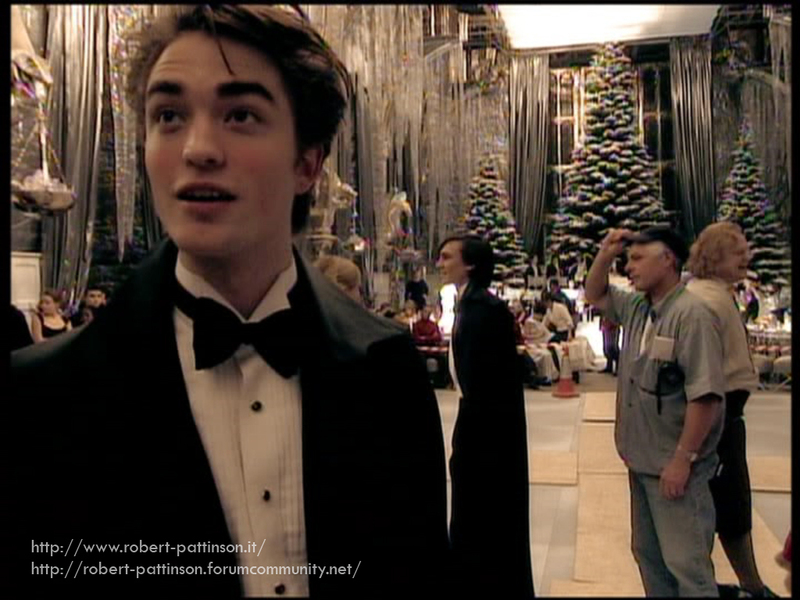 Robert Pattinson from Twilight. He’s English…and he’s young! Labels: I want to be a billionaire..
James Franco has recently become intrigued by the 'Twilight' series. In fact he can't stop talking about it. 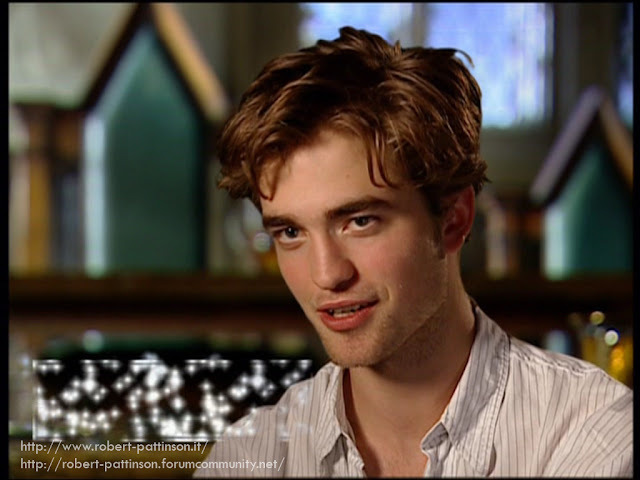 In a new interview with MTV he talks about Edward, Jacob, and another couple they remind him of..
"The movies are almost commenting on themselves," he said. "There will be a scene where the go-to guys, Taylor and Rob, are in the tent, it's almost like a 'Brokeback Mountain' scene, where the two guys are talking in a tent and the girl is asleep, and they're having, like, this romantic moment almost through her, in a way. One of them says, 'Well, I'm hotter than you,' and it's almost like they're winking at the fans, like to the Team Jacob or the Team Edwards." Read the rest, including what Breaking Dawn scene he thought was "kind of a letdown" and watch the video below. “I don’t recommend going up to someone and asking them for their hair. It’s just awkward and weird,” laughed Lingwood. 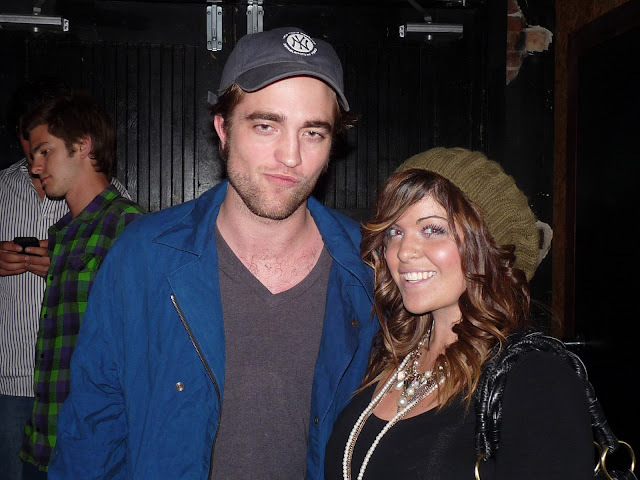 Read her fan encounter over at Pattinson Ladies.